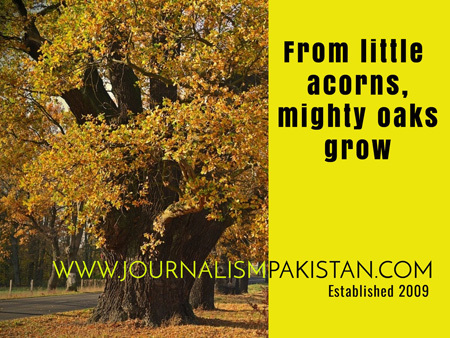 LAHORE - The BOL restoration movement continued to gain momentum as their Signature Campaign – to free the shackled media group - arrived in Lahore Wednesday. By signing to show his solidarity with the victimized media group, senior journalist Munnu Bhai inaugurated the campaign at the Lahore Press Club. 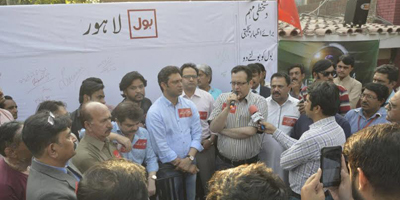 Muhammad Shahbaz Mian, President Lahore Press Club said that BOL was to change for the better the lives of 20 thousand media workers but what few media owners did in connivance with the country's leadership is known to all. “If only 50 percent of Lahore journalists had taken part in BOL TV movement, the channel would have been restored," he said. President PFUJ Rana Muhammad Azeem said that BOL will speak. “We do not have any hope from this government, our expectations lie only with the judiciary, and thus we should move the Supreme Court." Television anchor Mubashir Luqman said that if the PFUJ gave a protest call, we will go on hunger strike unless BOL is restored. Senior journalist Faysal Aziz Khan said the government in collusion with few media owners reacted so hastily that such pace is nowhere to be seen in any other matter. He said that by shutting down BOL TV, the government rendered almost 30,000 individuals unemployed. On BOL issue the government is plaintiff and witness per se.